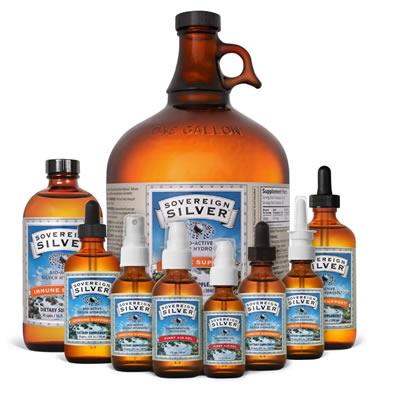 In my opinion, Sovereign Silver is a must have for every bird keeper's medicine chest. It's unique ability to help heal eye injuries and wounds make it an important part of your arsenal of bird care items. 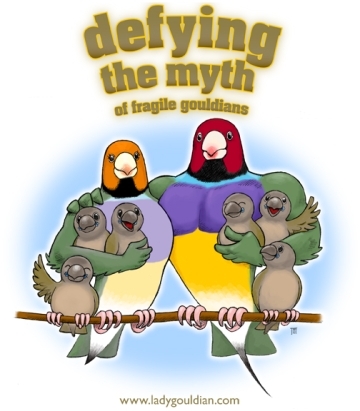 I have used it personally for both my Gouldians and my dogs. The summer months in Georgia have always caused severe itching in both of my dogs, and Sovereign Silver First Aid Gel has helped heal those raw hot spots created by their scratching and chewing. 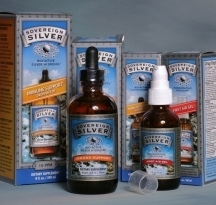 Sovereign Silver has only two ingredients: silver and pharmaceutical-grade purified water. It does not contain added salts or proteins that render other silver products ineffective. Plus, it is packaged in non-leaching, brown glass bottles to maintain its quality and integrity. On Saturday, August 8th I found Gigi with a swollen left eye (Photo #1). I had no idea what had happened to her as she was okay the evening before when the lights went out. I quickly placed her in a separate hospital cage, although I did not supply any additional heat because my aviary is 85-90 degrees throughout the summer months. The swelling was not just her eye, but the entire left side of her face, so I suspected involvement of the sinuses, but I do not like to use medications unless absolutely necessary. I placed drops of Sovereign Silver in her eye 3 times that day, as well as on Sunday the 9th of August (Photo #2, evening of 2nd day). During the next week, I used the Sovereign Silver one time each morning. By Sunday August 16th (Photo #3) her eye was completely back to normal and all the facial swelling was gone, although she was missing a few feathers from around her eye. No other medications were used during Gigi’s treatment with Sovereign Silver.